The recent escalation of armed clashes in southeastern Turkey between Turkish security forces and the Kurdistan Workers’ Party (PKK) is indicative of the new, turbulent phase the Kurdish problem has entered. It is now both one of Turkey’s most important internal problems and a crucial aspect of its political and diplomatic relations with its neighboring states. This is evident in light of the political and military realities in Iraq and especially in Syria. The Kurdish issue is gradually turning into an international problem of major importance, with various consequences for the states in the region, particularly Turkey. When the civil war broke out in Syria, the victory of the opposition forces seemed to be the most possible scenario; this would also mean a much more significant role for the Kurds in post-war Syria. This paper will analyze Turkish foreign policy in Syria with respect to the Kurdish problem, the geostrategic empowerment of Syrian Kurds and Ankara’s efforts to constrain Kurdish activities in Syria. In this context, special reference will be made to the reasons behind the Turkish government’s decision to shoot down the Russian warplane near the Syrian border, as well as to US-Turkish relations in connection with the civil war in Syria. Moreover, it will show how the escalation of Turkish military operations against the PKK is connected with Turkish foreign policy in Syria. The presence of compact Kurdish minority populations in Iraq and Syria has always been perceived as a potential threat by Turkey, especially when both countries entered a phase of serious political and military destabilization. As a consequence of the US military intervention in Iraq in 2003 – which brought down the Saddam Hussein regime – the Kurdistan Region of Iraq (KRI) was founded. Now, in the Syrian civil war, Syrian Kurds have emerged as a factor of major importance for the outcome of the military clashes. The reflexes of Turkish diplomacy deftly handled these events. In the case of the KRI, it tried to enhance its political and economic relations with the Iraqi Kurds even if this resulted in the deterioration of Ankara’s relations with the federal government of Iraq. In this way, Turkey would, to a certain extent, be able to contain the collaboration between Iraqi Kurds and the PKK while at the same time could significantly moderate the effects that the founding of an autonomous Kurdish state could have on Kurds in Turkey. The expedience of collaboration between Turkey and the KRI is obvious, as are the limitations of such collaboration. For example, Turkey has always been against the potential annexation of Kirkuk by the Iraqi Kurds as it would empower them further. The case of Syria is a bit more complicated. From the very beginning, Turkey sided with the Syrian opposition forces, thinking that the fall of the Assad regime was inevitable. Many analysts have claimed that the Turkish government made a rash and premature decision, but this is not necessarily true. When the Assad government was strong, good diplomatic relations between Ankara and Damascus meant that Syrian Kurds were at least somewhat controlled, as were the PKK's activities in Syrian territory. Yet, when the civil war broke out in Syria, the victory of the opposition forces seemed to be the most possible scenario; this would also mean a much more significant role for the Kurds in post-war Syria. Fearing that the political situation in Syria would soon be a fait accompli – which would also mean that Ankara would lose the moral high ground as a consequence of having provided assistance to the Assad government – it decided to completely change its foreign policy and support the Syrian opposition. Following the arrest and imprisonment of Abdullah Öcalan in 1999, Turkey pursued good relations with Syria, Iran, and Iraq; in other words, countries which provided safe haven for PKK militants. In order to counter Turkish policy, the PKK founded sister organizations in the following countries: in 2002, the Kurdistan Democratic Solution Party was founded in Iraq, while in 2003 the Democratic Union Party (Partiya Yekîtiya Demokrat‎ – PYD) was founded in Syria, and a year later, the Free Life Party of Kurdistan was founded in Iran (Partiya Jiyana Azad a Kurdistanê – PJAK). ISIL activities in Syria played a major role in the empowerment of the PYD, which actually became a valuable partner of the US government in the region. At the beginning of the Syrian civil war, Assad withdrew military forces from northeastern Syria, in order to reinforce his military operations on other battlefronts. As a result, the Kurdish element living in these areas was significantly empowered. Kurdish military forces in Syria, under the name People’s Protection Units (Yekîneyên Parastina Gel – YPG), took control of the region, which the PYD divided into three “cantons.” Furthermore, they set up an efficient system of local government, and even trained and built a well-disciplined, lightly armed military force. It gradually became clear that the PYD was pursuing its own political agenda without necessarily following into line with the PKK. This does not mean that the two groups do not collaborate to some extent or that this is critical reassurance to Turkey. In August 2012, the PYD released an official statement declaring that it would seek autonomy in the context of a Syrian Republic. Even so, the founding of a second autonomous Kurdish state – the first being the KRI – was already an alarming possibility for Turkey. Ankara has managed to remain on good terms with the KRI, but the nature of this collaboration has certain limitations and, to make matters worse, it may prove to be a fragile relationship. An autonomous Syrian Kurdish state could possibly overturn the existing balance and pave the way for more radical developments. The Islamic State of Iraq and the Levant’s (ISIL) activities in Syria played a major role in the empowerment of the PYD, which actually became a valuable partner of the US government in the region. ISIL militants attacked Kobani and continued their advance despite US bombardment. It took the combined effort of the US air force operations and the ground forces of the YPG to stop ISIL from advancing, thus forcing ISIL militants to retreat from Kobani. Given ongoing aerial warfare on the Turkish-Syrian border, a new violation of Turkish airspace seems very likely. As a result of this outcome, a number of important conclusions were drawn. One was that air force operations are not practical enough to stop Islamist extremists; ground force operations are also needed. The US government has been very reluctant so far to send ground forces to Syria. One must not forget that the US’ experience in Iraq was a very bitter one, proving that potential intervention with ground forces can create many military, diplomatic, and economic problems, without fully serving its intended purpose. Besides, potential US ground intervention in Syria has often met with a great deal of skepticism from Russia and other major powers in the region. However, assigning military ground operations to forces with local experience, such as the Syrian Kurds, seems a sound strategic choice. The willingness to fight the jihadist combatants and the lack of an independent Kurdish state makes the Kurdish people easier to deal with in political terms and less of a threat. Furthermore, Kurds are battle-hardened fighters with excellent knowledge of the geographical and geopolitical facts on the ground. Besides, a successful collaboration between the US Air Force and Kurdish militants has already taken place, proving that collaboration between the two sides can be functional and can also be applied in the future in order to defeat ISIL. Jonathan Steele notes that the PYD plans to expand its authority over the area from Jarablus to Azaz. If this happens, a big part of Syria’s northern border with Turkey will come under Kurdish control, and the Kurds will have a prominent voice and assert a strong presence in the post-civil war Syrian state government. However, the US strongly opposed the creation of such a zone. There were two main reasons for this. First of all, a no-fly zone may partially help deal with the refugee problem, which is critical, but it does not offer something vital in the conflict with ISIL and other active jihadist groups in Syria. On the contrary, enhancing Turkish military operations against Syrian Kurds could exacerbate the problem at a time when the US needs the PYD as an ally. Therefore, perhaps it is in this context that we should interpret the downing of the Russian Su-24 which took place on 24 November 2015. The Russian jet was shot by an air missile fired from a Turkish F-16, because – according to the Turkish government – it violated Turkish airspace. As a natural consequence, this incident created a serious crisis in Russian-Turkish diplomatic relations, adding yet another layer of complexity to existing problems in Syria. The Russian government claims that the warplane was shot down while it was in Syrian airspace and far from the Turkish-Syrian border. However, as Mark Galeotti points out, even if the Russian jet did violate the Turkish airspace, this actually took place for just a few seconds. Three years earlier, when a Turkish F-4 was shot down by the Syrians for having violated Syrian airspace, then-Prime Minister Recep Tayyip Erdoğan claimed that “a short-term border violation can never be a pretext for an attack.” Besides, even if the warplane did violate Turkish airspace, it was within Turkey’s borders for just 17 seconds before being shot down. This probably means that Turkish Armed Forces had been prepared to take such an action and just waited for the right time to engage. This point is further enhanced by Erdoğan stating he personally gave the order to shoot down the Russian warplane. The hard line imposed by the AKP on the PKK will probably be maintained for the coming months. In my view, the Turkish government decided to act in such a radical way in order to enhance its arguments about the necessity of imposing a no-fly zone in Syria. In other words, Turkey tried to convey the message that it is no longer willing to tolerate the slightest violation of its airspace. iven ongoing aerial warfare on the Turkish-Syrian border, a new violation of Turkish airspace seems very likely. To deal with this problem, the best solution would be to impose a no-fly zone. The decision to shoot down a Russian jet was no accident; Turkey chose to shoot down a warplane which does not belong to any NATO member, but to a country which could possess a potential threat to the West. It seems that the US as well as Russia seem determined not to let this incident further exacerbate current bilateral tensions. On the contrary, Turkey too seems to be making efforts to improve Turkish-Russian relations but does not seem to be making much progress so far. The unwillingness of the US to escalate conflict with Russia over the downing of the Russian warplane should not be interpreted as an effort to push aside Turkey regarding developments in Syria. It is more accurate to think that Washington is inclined to distribute certain responsibilities – and with this, political and diplomatic power – to the states and the ethnic groups that cooperate with the US. Turkey is one of its main allies in the broader area, and so Americans cooperate with the Syrian Kurds just as they do with Turkey. Washington does not at the moment seem to be too concerned by the possibility of a quarrel between some of its allies. It is easy to see that for the time being the highest priority is to end the civil war in Syria, to contain ISIL, and to form stable political state structures. In order to support this opinion, it is worth mentioning that after months of negotiations, Ankara and Washington signed an agreement in February 2015, detailing a train-and-equip program. The agreement stipulated the initial training of some 2,000 Free Syrian Army (FSA) fighters by a Turkish-US team at a military base in Turkey, with the possible expansion of the program to 15,000 trainees or more depending on the progression of FSA operations. Even if this program was later abandoned having been proved totally unsuccessful, it probably means that the US thinks of Turkey as an integral part of the bigger picture. Several days before his official statement, then-Prime Minister Erdoğan, was intending to run for the Turkish presidency, and sought to change the Turkish constitution from a parliamentary to a presidential system after success in the polls. Given the fact that the AKP did not possess the majority needed in Parliament to change the constitution, it needed the support of one of the opposition parties. Because of this, Turkish and foreign analysts estimated that as long as Erdoğan decided to run for the presidency – as he actually did – he could follow one of two paths to succeed. The first one was to grant several concessions to the Kurdish-speaking citizens of Turkey, thus securing the votes of the pro-Kurdish Peoples’ Democratic Party (HDP). The second one was exactly the opposite. By taking a hard line on the Kurdish issue, the AKP would secure the votes of the Nationalist Movement Party (MHP). It seems that the AKP chose to follow the second path, and with undoubtable success. The attempts to form a coalition government after the elections of June 2015 proved unsuccessful. New elections were held on November 2015, in which the AKP won an outright – and for some analysts, unexpected – majority. In its election campaign, the AKP claimed that it was the only party who could offer security and stability in Turkey, preluding a hard line on the Kurdish issue. Turkey’s main fears are driven by the potential consequences of creating a second autonomous Kurdish state in the Middle East. The hard line imposed by the AKP on the PKK will probably be maintained for the coming months. There are two main reasons for this. First of all, it was how the AKP managed to attract many center and even extreme right voters. Given the fact that the AKP has been in power without interruption since 2002, the AKP’s percentage of votes in the November 2015 elections can be considered very high. A logical expectation would have been that the ruling party’s extended time in power coupled with the corruption allegations implicating even President Erdoğan’s inner circle might have diminished support for the AKP among the electorate. Some analysts believe that the ruling party’s hard line approach to the Kurdish issue as well as the new wave of violent clashes in the southeast contributed to a large extent to its re-election. But the political ambitions of President Erdoğan might not be the only reason for Ankara’s new tough approach towards the Kurdish issue. Given the support the PKK provides to the Syrian Kurds, it would be very difficult for Turkey to try to contain the activities of Syrian Kurds, and at the same time to be on good terms with its own Kurdish populations. The Turkish government probably hopes that in this way it will be able to put pressure on the Syrian Kurds’ positions and the PKK groups inside Turkey, which support them. Turkey’s main fears are driven by the potential consequences of a second autonomous Kurdish state forming in the Middle East. Even if the odds of a unified Kurdish state consisting of Kurdish-speaking populations from across the Middle East are extremely slim in the near future, the potential of such a development worries Turkey for several reasons. The existence of two autonomous Kurdish states could prompt further resistance from Turkey’s Kurdish-speaking people. The current level of cooperation and support from Turkish and Iraqi Kurds to Syrian Kurds is a clear indication of what Turkey might experience in the future. Furthermore, today’s Iraq as well as a post-civil war Syria are going to be very fragile states, sensitive to potential destabilization. This actually means that any new crisis in the Middle East could possibly result in the fragmentation of Syria and Iraq. In such a case, the appearance of two Kurdish states – but this time independent or perhaps semi-independent – is an alarming possibility for Ankara. Nevertheless, Ankara’s efforts to undermine the Kurdish role in Syria have certain limitations. As has already been mentioned, the Syrian Kurds have proven to be valuable allies of the US in the struggle against ISIL. They will probably have an important say in Syria’s future political situation. This is also confirmed by the fact that the US has steadfastly refused to put the PYD on the list of terrorist organizations, despite Turkey’s demands. The government that will assume power in Syria after the end of the civil war will probably include a heterogeneous mixture of different political and ethnic groups, one of which will be the Kurds. The future correlation of power in Syria and the Kurdish proportion of influence will be mainly related to the contribution that Syrian Kurds make to restoring order in Syria. This also means that, the longer the war against ISIL and the rest of the jihadist groups continues, the more powerful the political role of the Syrian Kurds will be. Pantelis Touloumakos, “The Devil You know: The Kurdistan Issue and Syrian – Turkish Relations,” Middle East Research Project, Vol. 5, No.1 (September – October 2012), pp. 10-11, http://www.eliamep.gr/wp-content/uploads/2012/11/MERP-REPORT-5.2012.pdf ; International Crisis Group (2012), pp. 15-17. 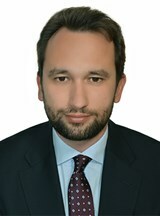 Pantelis Touloumakos is a Research Associate at the Hellenic Foundation for European and Foreign Policy (ELIAMEP), completing his PhD in modern Turkish politics at the University of Athens, Greece.